Turn your pics into art and don't forget about all the important dates ever again with the incredible 2015 Calendar Photo Frames. Frame your dearest memories and funny photos with this outstanding calendar free photo editor completely free of charge – you have gorgeous picture frames for each month, as well as a couple holiday pic frames gratis. Make a picture calendar - have fun editing photos of your closest friends and family and turning them into beautiful and useful master pieces with various borders and shapes. It's high tome you had some photo fun! Have you always wanted to make a calendar with your photo? Enjoy the happy holidays as soon as you enter our photo studio. Embellish your pics with the best photo editing app and have a Merry Christmas and a Happy New Year 2015! ✪ Try a brand new monthly calendar picture editor for FREE! ✪ Take a selfie with your camera and apply natural picture frames to it! ✪ Choose from various picture frames for baby pictures, New Year frames, calendar photo frame 2015, kids frames, cartoon frames for kids and many more! ✪One of the best free apps on the market allows you to save your beautiful selfie pictures and beautify them with natural picture frames or a photo calendar frame of your choice. ✪ You can also select a funky pic from your cool photo gallery, share it instantly, or set it as a wallpaper background! ✪ Social share button – share your pics with your best friends instantly via Facebook, Twitter or Instagram. ✪ Get this unique image editor and and use calendar photo editor software to create beautiful images! ★ 2015 Calendar Photo Frames fully supports horizontal orientation and looks amazing on tablet devices as well as on mobile phones. Join the photo mania with our pic frames! Enter our photo booth and smile for the camera to make a calendar! Try various New Year and Christmas photo grids & effects and enter the amazing world of photo montage. Make a photo calendar with multiple pictures for each month, completely free of charge with this stunning new calendar app. Take a photo with your beauty camera and choose the adequate photo frame 2015 to get your customized calendar photo in a matter of seconds. This photo editor offers you the chance to make your pics even more memorable with free photo calendar frames inspired by the four seasons, happy holidays and the New Year 2015. If you like collage makers, you should not miss this adorable free download inspired by the holiday season and the Christmas pics. Just give one of the coolest free apps a try and embellish your dearest baby pics, or crazy pics with the most original calendar foto editor on the market. Have fun putting your in the most beautiful pictures into monthly calendar, New Year and Christmas photo frames and 2015 photo calendar template. Create magic with your fingers and share your collage pics and selfies with your best friends and family or just turn them into the sweetest free wallpapers for your tablet or mobile phone. No other photo maker can frame your memories as well as keep you up to date with all the important occasions. You no longer have to look for an online image editor for photo manipulation, our fun and simple calendar photo editor is here. 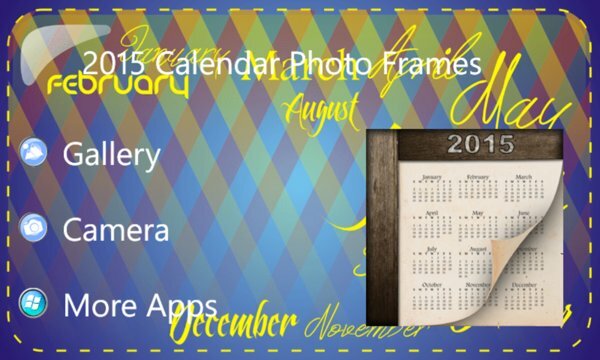 Turn the photofunia on with this picture calendar maker! One of the best free apps will allow you to be creative when it comes to borders and frames for pictures and editing! 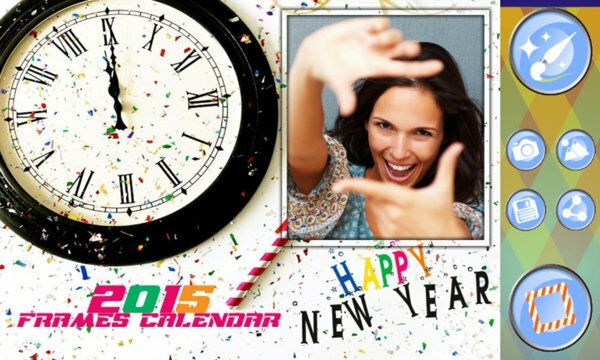 Try our new free pic editor with a free monthly calendar template and Have a Merry Christmas and Happy New Year 2015!